We are engaged in web development since 1998, we develop high-quality Web sites and applications in PHP and MySQL. The actual web page is just a top of the iceberg. What makes the site useful, attractive and convincing enough to make your visitor to come back, the web applications such as newsgroups, chats, product evaluations, online catalogs, RSS feeds, sharing with friends (Facebook), surveys ect. E-commerce solutions with good information architecture with easy navigation and 100% user-friendly design (usability). No restrictions, no unpleasant surprises, our solution grows with you and your needs. SEO support, analytics, PPC advertising and promotion on Facebook. We give you support so you can move your business forward. Simple web site consist of several interrelated parts. This includes the logical structure, graphic design, navigation, structuring and with a graphical representation of a filling content. Of course in ui42 we care about usability of websites and also optimize online marketing campaigns. We produce web pages, e-commerce solutions on our proven BUXUS - CMS. Website visitors also expect the web search the same quality as in the case of a Google search. In the case of specific requirements in addition to Google Custom Search we are recommended as an alternative site be used for Lucene / Solr search. Lucene / Solr is one of the most full-text search in the world. Among other things, it allows you to search on multiple sites and different types of documents. In ui42 we have successful implementation of Lucene / Solr with clients and over PHP. 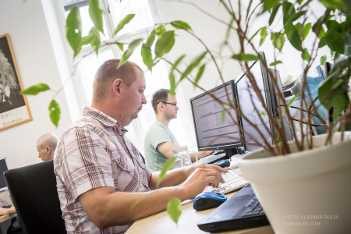 We are one of the first deployment of Slovak and Czech languages. We have implemented it also in Hungarian and we can deploy it in any language. Take advantage of the publication of the contextual ads on your site with the highest possible returns. Our specialists will provide non-intrusive advertising placed correctly and the corresponding Google-driven content. Quickly and efficiently so that you can earn money without effort. Our selection also create an account with Google AdSense, the design uses advertising space Web site, select the appropriate ad unit, modification of their appearance so as to match with the web and optimization of the existing model of using web and advertising revenue. We can help in increasing advertising revenue from your site. We can create for you design use advertising space, design appropriate ad unit Google AdSense so as not to disturb the overall design of the site, but received appropriate attention to site visitors. For your site thus you get a text or display ads from Google AdSense advertising system, which will be contextually targeted to the content of your site. 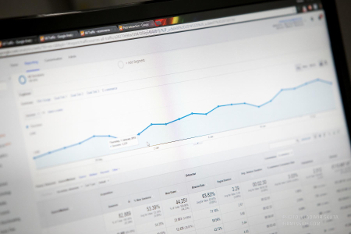 After putting Google Adsense for you to create advertising channels, enabling to monitor and further improve the use of area advertising site and increase revenues from advertising. One of the most important things that keeps people buy over the Internet is trust. Trust your customers that every payment or transaction you do is safe and no one else does not read the transmitted information. InstantSSL Comodo Certificate is supported by all mainstream browsers and looks forward to the satisfaction of many users. SSL Certificate allows you to make transactions on the Web with confidence that no one else does not read or change the data during transmission on the Internet from the browser to the server. SSL certificate encrypts sensitive information and prevents them "trapped" and misuse. This certainty increases the credibility of the site, which usually leads to higher conversion of customers and increases the average cost of purchase in e-shop. SSL certificate is recommended to all who are on your site, intranet or extranet use forms to sign or through not collect information about their customers and business partners, provide nonpublic information to its registered customers and business partners, operate e-commerce and other e-commerce site. SSL certificates can also ensure access to Buxus. We SSL certificate trusted certification authority COMODO: Accepted by all popular browsers (99.3% internet stock), as well as Verisign or Thawte certificates. 1024 bit SLL certificate corresponding standards. 128/256 bit encryption. Certificate option to subscribe for 1-3 years. run by e-commerce and other e-commerce site. SSL certificates can also ensure access to Buxus. We SSL certificate trusted certification authority COMODO: Accepted by all popular browsers (99.3% internet stock), as well as Verisign or Thawte certificates. 1024 bit SLL certificate corresponding standards. 128/256 bit encryption. Certificate option to subscribe for 1-3 years. run by e-commerce and other e-commerce site. SSL certificates can also ensure access to Buxus. We SSL certificate trusted certification authority COMODO: Accepted by all popular browsers (99.3% internet stock), as well as Verisign or Thawte certificates. 1024 bit SLL certificate corresponding standards. 128/256 bit encryption. Certificate option to subscribe for 1-3 years.